Nissan plans to make autonomous driving features available on mass-market cars such as the Qashqai, shown. Nissan will debut semi-autonomous driving technology in Europe in the Qashqai crossover, its best-selling model in the region. The Qashqai will offer Nissan's so-called Piloted Drive 1.0 technology starting in 2017, the automaker said in a statement. 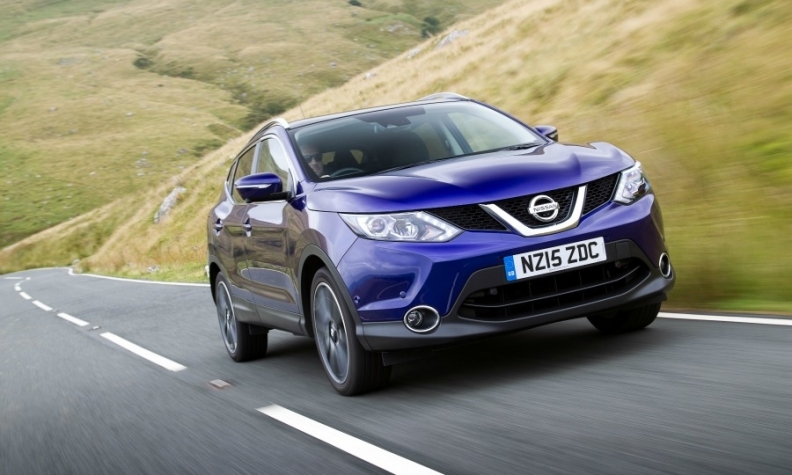 The system will enable the Qashqai to drive itself in a single lane in heavy traffic conditions. It will arrive first on Nissan cars in the company's home market of Japan at the end of next year. It will also roll out in the U.S. and Japan in 2017. Piloted Drive 1.0 is the first stage in the Nissan's Intelligent Driving plan to roll out further self-driving technologies through 2020. The second step, due in 2018 and called Piloted Drive 2.0, allows automatic lane changing on the highway. Piloted Drive 3.0, which is scheduled to launch in 2020, will allow Nissan’s cars to negotiate city intersections without driver intervention. The move is part of the brand's commitment to make autonomous driving features available on mass-market vehicles, Nissan said. "With the driver in control, we want to remove the pain-points of being behind the wheel, like navigating heavy traffic, to put the excitement back into driving," Nissan Europe chief Paul Willcox said in the statement. Last year, the Qashqai was Europe's best-selling compact SUV/crossover with a volume of 232,788, up 14 percent, according to JATO Dynamics market researchers. Renault, Nissan's alliance partner, also plans to sell cars that can autonomously drive in traffic jams by 2016. Renault has not disclosed yet which market will get the technology first.